Let’s face it, apples are ordinary. 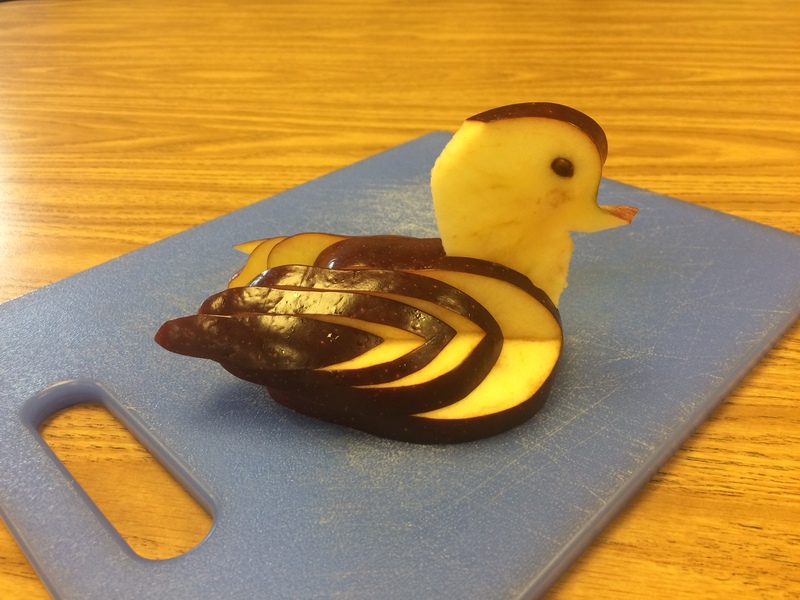 The Culinary Management class practiced transforming apples into something amazing – swans! Student Madison K. said, “It was challenging, but fun!” The activity was an opportunity to prepare garnishes in the Produce Unit. The Culinary Management class provides additional training (along with the Culinary Arts course) for career opportunities in the Culinary and Hospitality Industry. Students learn and practice safety and sanitation procedures, as well as perform quantity food preparation as it relates to catering, bakery, restaurant, hospitality and quick service business operations. Emphasis is placed on employment skills, management operations, and business and marketing practices.